At Pisatahua we pride ourselves on the quality and safety of our ayahuasca medicine. Our ayahuasca is pure and unadulterated. We never use dangerous admixtures such as toe or tobacco rustica. 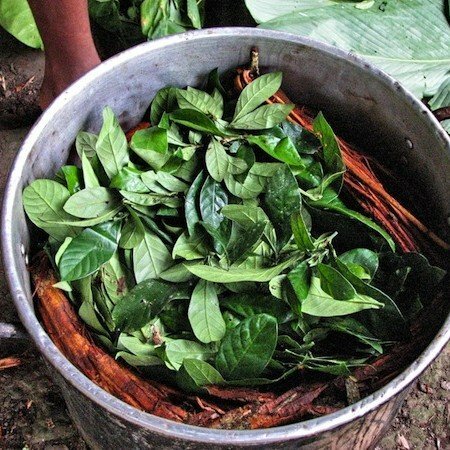 We prepare our ayahuasca using only the vine (b. caapi), as well as chacruna (p. viridis) or chaliponga (d. cabrerana) leaves. Healers oversee the entire ayahuasca preparation process with great care and attention to detail. They adhere to strict ritual procedures throughout. The intentions and attention they give to the medicine is essential to its healing and visionary potency. Upon arrival, participants consult with healers and facilitators to determine the correct ayahuasca dosage. Individuals with limited experience begin with smaller dosages and increase with successive ceremonies. First the vine is cleaned and smashed with a wooden mallet. Thin strands of the vine are then placed in a large pot, layered alongside chacruna or chaliponga leaves. Natural spring water is placed in the pot and the contents are brought to a simmer for 4-6 hours. The liquid is then strained and stored. More water is added, and the process is repeated. The medicine is then placed back in the pot and the liquid is reduced until the desired consistency is achieved. Guests are invited to assist our healers throughout the ayahuasca preparation process. Our ayahuasca is prepared on-site with sustainably cultivated plants from our 200-acre property. 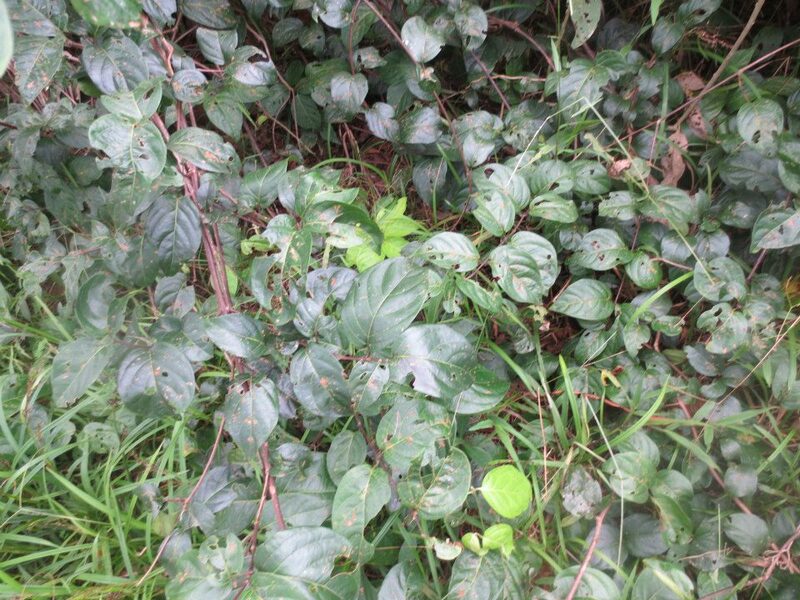 We practice regenerative harvesting of all medicinal plants, including the ayahuasca vine.